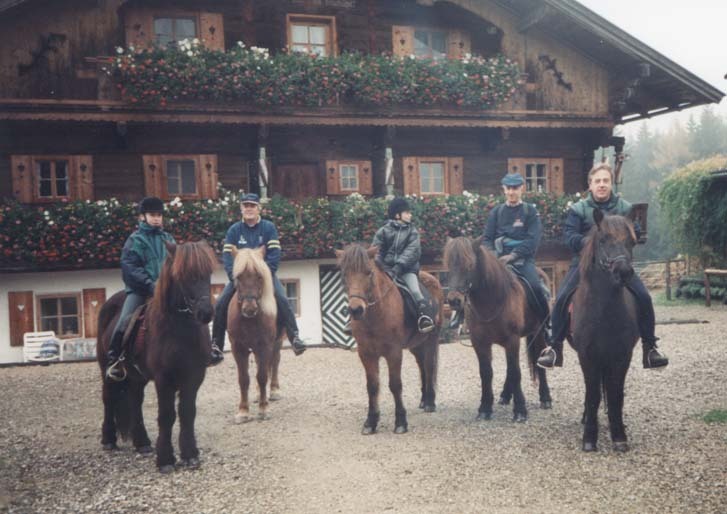 The versatility of the Icelandic Horse allows us to provide just the right horse for each rider. The possibility to choose between an absolutely reliable horse for children or beginners and a horse with more temperament for the advanced guarantees satisfaction for all our riders. Riding Lessons are offered daily except Monday. 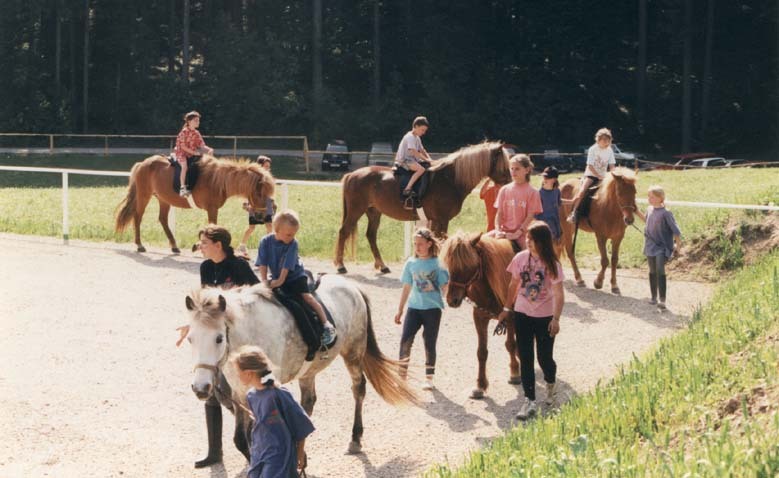 Riding Lessons for the beginner generally take place in the enclosed manege 40 m x 20 m, either as a private lesson or in small groups. More advanced riders use the 250 m oval track. 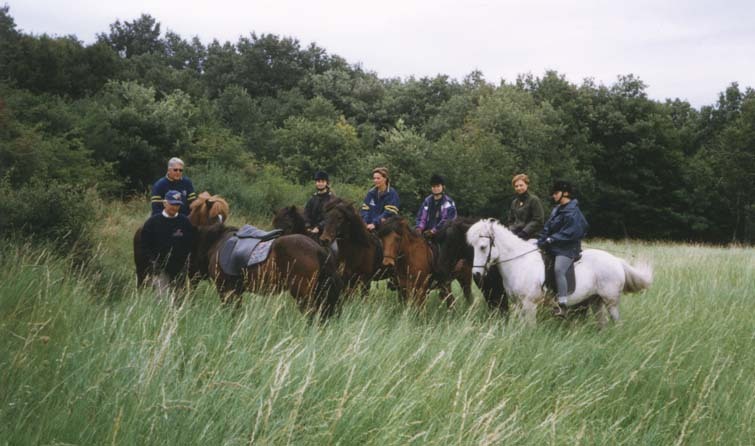 Due to the special reliability and surefootedness of the Icelandic Horses even beginners or fewer practiced riders can go out on the trails - attended by an experienced guide. And of course we offer longer trails (2 to 4 hours) for the advanced. 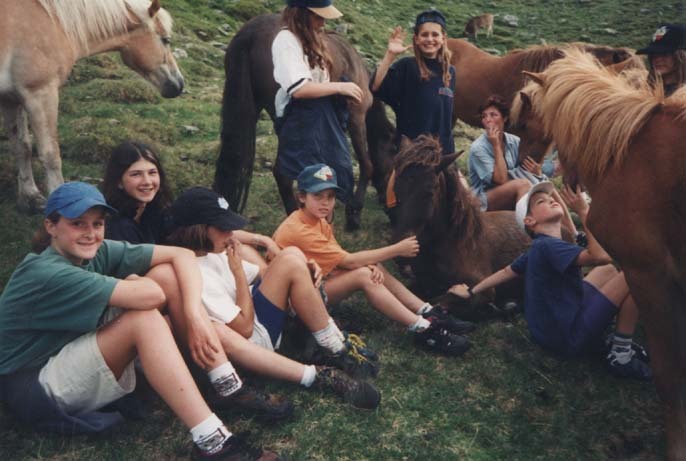 If you want to enjoy a whole day out on horseback we will be glad to organize this for you and your friends. Every year during the warm season we organize our cross country weeks. We go out on the trails for several days mostly riding through different parts of Austria or Southern Germany. You can rent a horse from our stables or even ride your own horse and have a great vacation with your four-legged partner. In order to train our riders in a professional and versatile way, we offer courses managed by international trainers on our own facilities. We already had courses hosted by e.g. Alexander Sgustav, Harriet Loidl and Piet Hoyos. 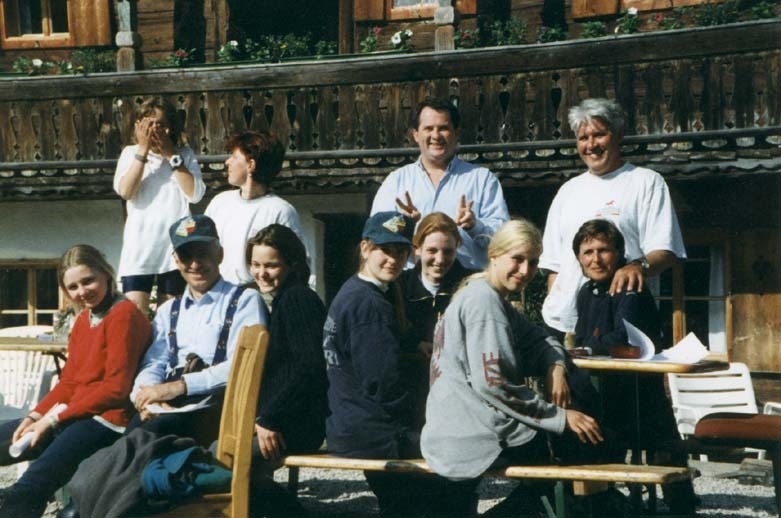 Young riders have the possibilty to go in for the common austrian badgets: Reiterpaß and Reiternadel . For those who like to join some competitions with their horses we have special training lessons for competitors. You can show your potential in the Tyrolian Championships for Icelandic Horses we host from 17th to 19th September on our facilities. Every year we are looking forward to invite children to join our Riding Camp. Our little guests enjoy every minute with their four-legged friends.